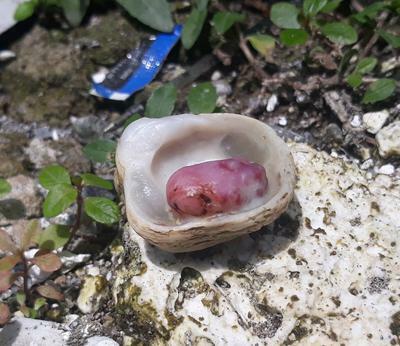 Origin: A fisherman found this pearl in Indonesian waters, on the Kalimantan islands. 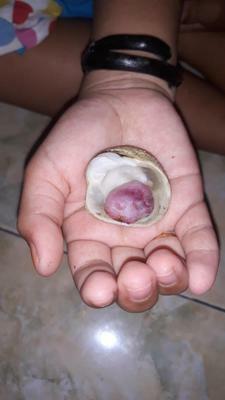 Very rare for such a large, purple pearl to form in such a small shell. Collector's item. 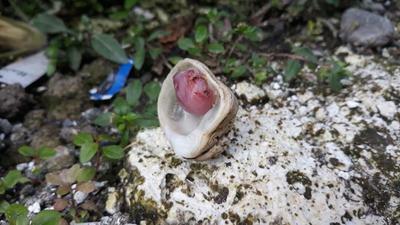 Return to Listed - Blister Pearls .